CFUW, contacted us to create a site for their university women’s group charity, that raises money for university and college scholarships for deserving young women. 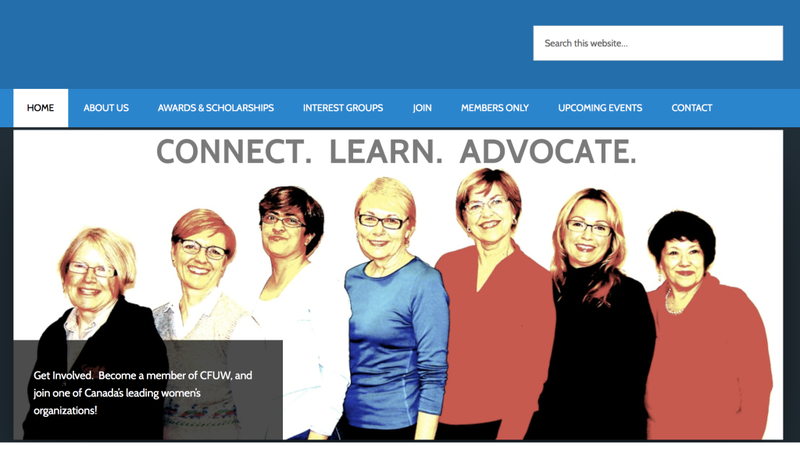 CFUW wanted a site that had a private area for its members to view photos and meeting minutes. Additionally, they needed the site to appeal to women thinking of joining the site; so it had to explain their mandate and what the Club offers. We are all very happy with the site and are sure that it will help raise funds for women in education!